Crew was returning to France after completing the first flight from France to Madagascar and the Reunion Island in December 1929. Aircraft left Gao at 1015LT bound to the north. It overflew Tabankort and crew planned to make a fuel stop at El Quit where a quantity of 220 liters of fuel was hidden in the sand. Some 30 km before this destination, the engine failed. Crew attempted to make an emergency landing but on touch down, the left main gear collapsed and ripped the fuselage on the left side, shearing off the left wing as well. All three crew were unhurt but the aircraft was abandoned on site. All three crew were rescued and evacuated six days later, on 28APR1930, by members of the Compagnie Générale Transafricaine, and arrived in France on 05MAY1930. 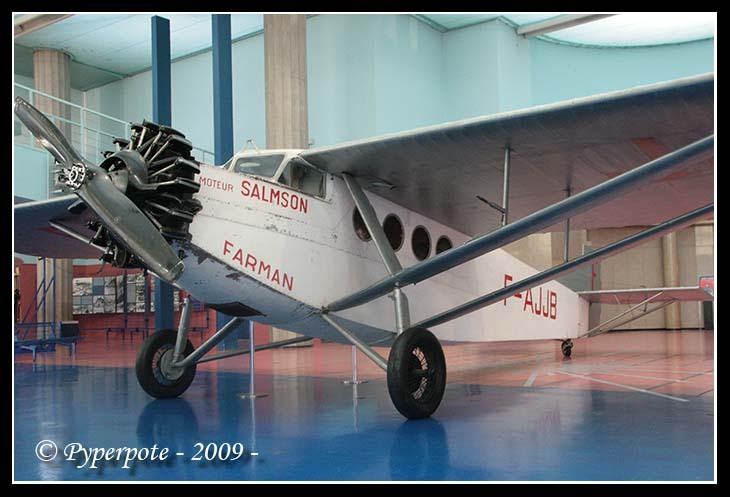 The airplane was eventually recovered 80 years later and repatriated to Paris where it was repaired and displayed at the Musée de l'Air et de l'Espace in Paris-Le Bourget Airport.